The Customer Charter explains our relationship with you, what you can expect from us and what we would like from you so that we can meet your expectations. Did you know about 24%* of your electricity bill goes towards delivering power to your home or business. That cost helps us provide you with a safe and reliable electricity supply and make sure that we are here for you 24 hours a day, 7 days a week. We also offer a range of free, online tools to make it easier for you to stay informed, access information quickly and take control of your energy. The easiest way for you to take control of your electricity bill is to make sure you are getting the best retail deal. Sign up for myEnergy to see how you can compare your rate through Victorian Energy Compare. Read more about who we are and what we do in our Customer Charter, which explains your legal rights, entitlements and obligations under the Electricity Distribution Code. Click here to download a copy of the Customer Charter or the Victoria’s Electricity Distribution Code. You can also request a free printed copy here. *CitiPower network distribution charges are approx. 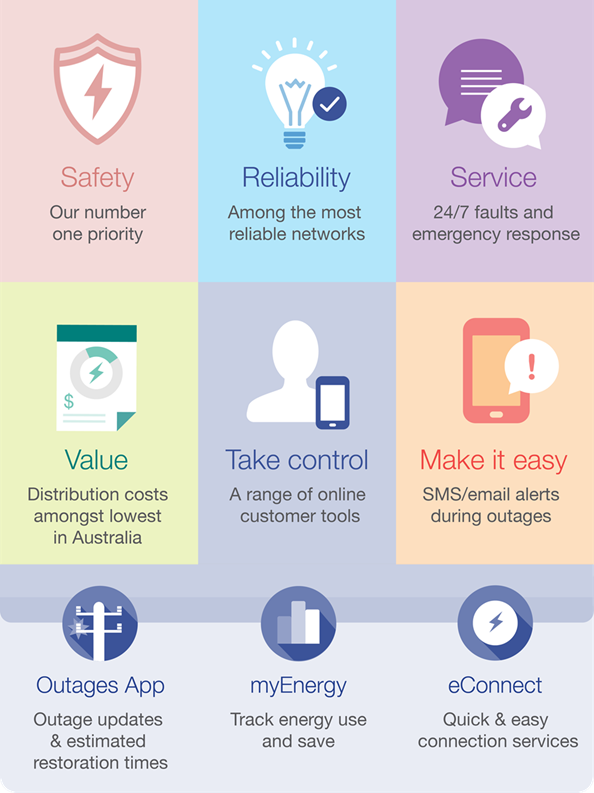 22% of the average household electricity bill and Powercor network distribution charges are approx. 24%.